In most instances, when a customer is looking for an Advantech Embedded Automation Computer to utilize with their application, there are so many options available that it can be tough to decide which one is best. When this occurs, most end users will engage someone like myself to assist with selecting a hardware solution that will exceed their specification requirements. With that said, I realize that some don’t always have the time to email or call, so I thought I’d explain 8 of the determining factors that should make your selection process a bit easier. 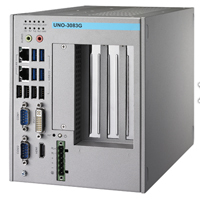 Advantech manufacturers the Din-Rail UNO-1000 Series, Stand mount UNO-2000 Series, Wall mount UNO-3000 Series and Rack mount UNO-4000 Series Embedded Automation Computers. Thinking about how much space you have available to work with, the smallest form-factor will be Din-Rail model, while the largest are the Wall mount models. It’s important to note that if you select one of the smaller form-factor models, there’s a good chance that computing power, memory, storage and I/O expansion won’t be as robust. Space constrictions just don’t allow for as much storage, memory or I/O. Processors available range from AMD Geode to Marvell XScale, LX800, Celeron, Core 2 Duo, Atom Single/Dual Quad Core and Core i3/i5/i7. If you are just opening a web browser, one of the more cost-effective UNO-1000 or UNO-2000 models will get the job done. If you are running a Vision program or are doing Monitoring & Control, SCADA or Test & Measurement, you will want to make sure that you select one of the Core i7 models that provide an increase in RAM, I/O, storage, PCI/PCIe expansion slots and resolution. 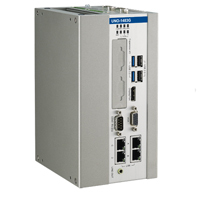 Advantech Embedded PCs can be configured with up to 16G of RAM. Keep in mind that any model with less than a Core I CPU will have 4G or less of RAM. In most of the Embedded PCs, the RAM is onboard, so if you require the maximum amount of memory, you will want to select one of the UNO-2100 or UNO-3000 models that accommodate 8G RAM or higher. My next blog, Part 2 of this series, will address 5 additional key factors to consider when selecting an Advantech Embedded Automation Computer. In the meantime, if you have any questions about what you have read or require assistance with configuring an Embedded Automation Computer, please contact me (see below for contact info).